A number of school prizes were presented at Review of the Year today. New for this year, Innovator of the Year, two categories were introduced for best innovation and for early-stage new business ideas. In partnership with the Centre of Entrepreneurship, the winners are guaranteed an automatic place in the appropriate category of the University of Dundee, Venture 2019 Final, plus a chance to participate in the on-campus three month summer Elevator accelerator programme. For the awards, the judges highlighted that the three shortlisted applicants were exceptional and it was a difficult decision. Alejandro Brenes Murillo (GRE - Lamond lab) was named as runner up. Alejandro has developed an application to bring together and visualise proteomics data with other large bioinformatics resources. The panel felt this was a very good innovation with enormous utility for the research community. Wenbin Guo (Plant Sciences – Brown lab) was named Best Innovation. Wenbin has developed an application that takes the raw data from RNA sequencing and rapidly and robustly analyses the data through a user friendly interface with a final output of publication quality figures and reports. 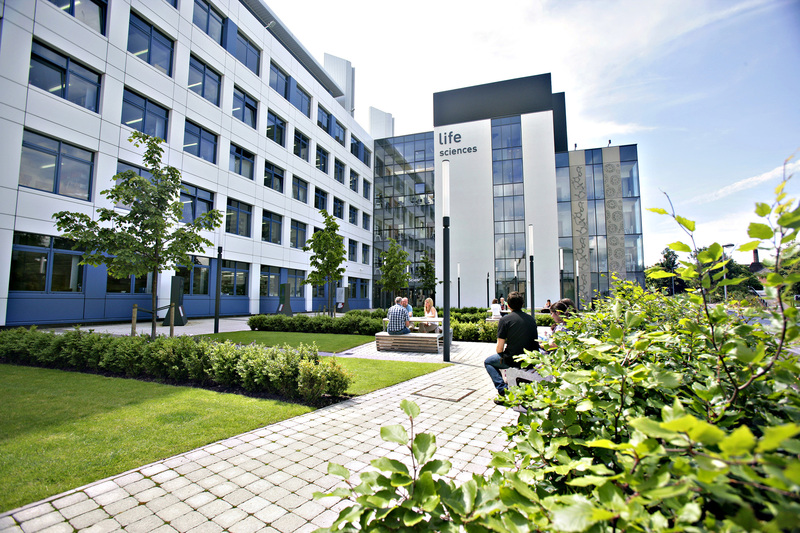 This innovation is going to have a major impact to the research community and focus significant positive attention on the University of Dundee and The James Hutton Institute. Xinjin Liang (Geomicrobiology Gp – Gadd lab) was named best early-stage new business idea. Xinjin, Shuai Zhang (School of Science and Engineering) and colleagues have developed a TiO2-PTFE coating with both clinical and engineering applications. The panel felt this was extremely innovative and had enormous potential for commercialization. The Howard Elder Prize is for a postgraduate student or postdoctoral researcher deemed to have published the most significant paper in an area related to cancer research. The prize was introduced by Dr Howard Elders daughter who said her father always spoke very highly of his time at Dundee and the opportunities it gave him. The winner was Christina Rollings (CSI – Cantrell lab) for her paper ‘Interleukin-2 shapes the cytotoxic T cell proteome and immune environment-sensing programs’ published in Science Signaling. The committee agreed the paper is likely to provide a seminal reference for others working in this field. The Molecular and Cellular Biology Prize is for a postgraduate student or postdoctoral researcher to recognise excellence in basic research. The winner is Ye Hong (GRE – Gartner lab). The judges were particularly impressed with three papers that describe elegant work on the role of the LEM-3/Ankle1 nuclease in the resolution of chromatin bridges at the midbody during cytokinesis and in meiotic recombination repair and chromosome separation. This nuclease is likely a key player in the long-term maintenance of genome stability. These papers were published in PLoS Genetics, Genome Research and Nature Communications. Project of the Year was named as Kirsty’s Project: Searching for a New Medicine. This was a truly collaborative project involving input from staff from across the School, in particular, DDU, BCDD and WCAIR. Kirsty’s Project: Searching for a New Medicine is an illustrated children’s book about how our scientists developed a potential new drug for Leishmaniasis. The book was written by Suzanne Duce and Tracy Bayliss, and illustrated by Daisy MacGowan. They worked with staff across the divisions and School to ensure the book reflected the research process and was accessible to the target age group. A new award was established this year. The People’s Award has been created to acknowledge staff who make positive contributions to School culture. All members of the selection committee were deeply impressed by the very high quality of all the submissions and were unanimous with presenting this award jointly. Erin Hardee and Ali Floyd received the award for the formation of the SLS and subsequently UoD LGBT+ Staff Group. The selection committee particularly noted the fact that Erin’s and Ali’s contributions to Diversity and Inclusion not only positively affected culture in SLS but had impact across the University. Anna Segarra-Fas and Elena Purlyte on behalf of the PiCLS committee for leadership in our PhD community.